On January 15, 2002, the Palestinian Authority security services committed a grave crime against the Palestinian national leader Ahmad Sa’adat, the General Secretary of the Popular Front for the Liberation of Palestine. The General Intelligence Service, headed by Major-General Tawfiq Tirawi at the time, kidnapped Sa’adat as well as a group of his comrades involved in the assassination of the extremist Zionist racist and war criminal Rehavam Zeevi, the Israeli Minister of Tourism. They were detained at the headquarters of the PA (the Muqata) before the formation of a kangaroo court, an unprecedented development in the history of the Palestinian struggle. These events revealed the extent of the collusion and criminality of the leadership of the Authority and its security forces against the leader of a national resistance organization and its fighters and heroes. The pages of this crime are still being turned; it continues in the continuation of this destructive approach of “security coordination.” No one has been held accountable; none of those involved in crafting this treacherous plot in the rooms of shame and so-called “security coordination” exercised by the security forces of the Authority. 1) This crime is a treacherous stab in the back, an act of poison against the Palestinian resistance. It reveals the true nature of the security functions of the Oslo entity, and reveals the essence of its derelict authority. 2) This crime will remain engraved in the memory of the Palestinian people, with no statute of limitations. It does not lessen or diminish with the passage of time. Instead, the oppressed continue to haunt the cowardly criminals responsible, seeking accountability, punishment and revolutionary justice. 3) The Palestinian intelligence service, led by Major-General Tawfiq Tirawi, committed an unprecedented political and moral crime in Palestinian history. In secret, others responsible for the security services also participated in this crime. Their attempts to clean their faces or evade responsiblity will not succeed, and these fig leaves will fall away. 4) This crime is a clear representation of the practices and abuses of the Palestinian Authority security services and their shameful record, which still hangs as a dark cloud on the West Bank. These agencies continue the destructive path of security coordination and the arrests and prosecutions against the resistance. This cooperation with the occupation has reached the extent that the Palestinian Authority leadership boasts of these practices and approaches. 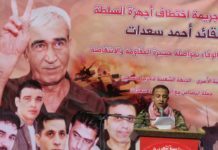 5) The campaign salutes the leader Ahmad Sa’adat, who remains a national lightpost and a beacon of the Palestinian cause. This crime and the attacks of the occupation will not break his will or steadfastness. He has always turned the detention cells in which he has spent most of his adult life into continuous battlefields of resistance. 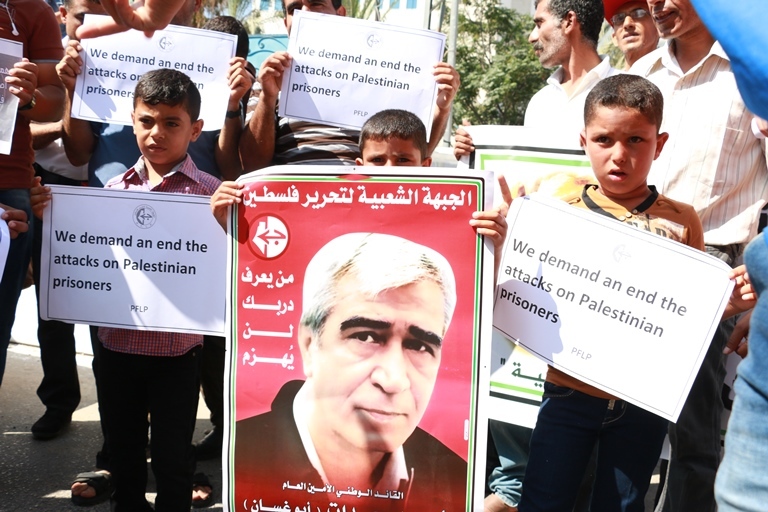 6) The campaign praises all of the organizations, parties, activists and personalities who have participated and will participate in the International Week of Action with Ahmad Sa’adat. 7) All solidarity with our prisoners in the occupation jails, who are subjected to an intensified Zionist attack and unprecedented repressive measures. This situation requires an urgent, strong response, not merely formal gestures of support, through permanent, continuous, effective and creative means of struggle to pressure the occupation and the international community. 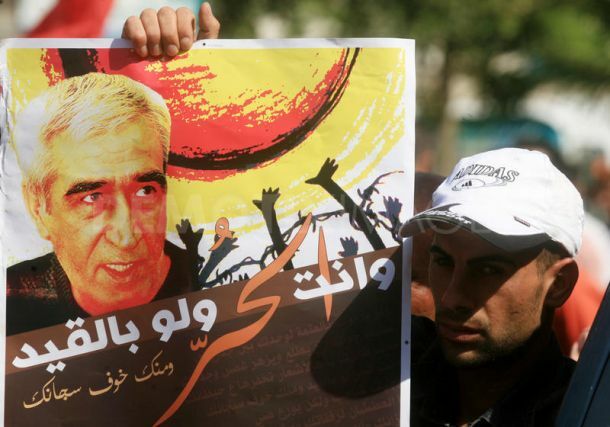 Freedom for Ahmad Sa’adat and all Palestinian prisoners! Victory is certain.